Valet parking is available for $20 per car. There is also street parking and surface lots around the hotel area. 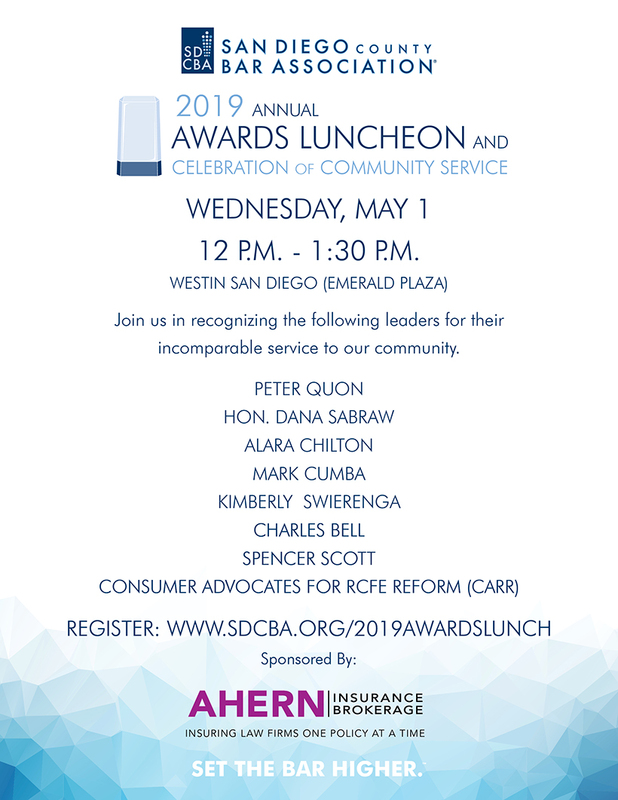 If you wish to purchase a table, please email Alejandra Gonzalez at agonzalez@sdcba.org with the list of the individuals in your party. The last day to cancel your reservation to receive a refund is Wednesday, April 12, 2019 at 12:00pm. No refunds will be given after this date.